Lowe's is building a second level on its solid connected-home foundation, and making intriguing promises for future expansion. With the imminent demise of the Iris by Lowe's smart home platform (Lowe's will shut down its servers on March 31, 2019), Iris users looking for an alternative might want to know that Hubitat has announced that its Hubitat Elevation smart home hub now supports all Iris by Lowe's smart home devices, including the until-now proprietary first-generation products. You can read more about Hubitat's migration path here. Update, June 20, 2017: Lowe's has made a number of improvements and upgrades to its Iris by Lowe's smart home system, including the addition of a professional monitoring option. We decided to take a second look at the second-generation system. You'll find our new review here. Update, April 6, 2016: After living with the second-generation Iris by Lowe’s connected-home system for nearly four months, my opinion on the system has evolved quite a bit. Problems that I mentioned in the review—such as the hub’s failure to reconnect to the Iris service after a broadband disruption—continue to dog the service, and its app still is only usable by a single individual, with no way to grant anything more than access codes to other users. Lowe’s also has been much too slow to add new third-party sensors and devices to the ecosystem. Four months out from launch, the number of officially supported new devices has grown by maybe 10. 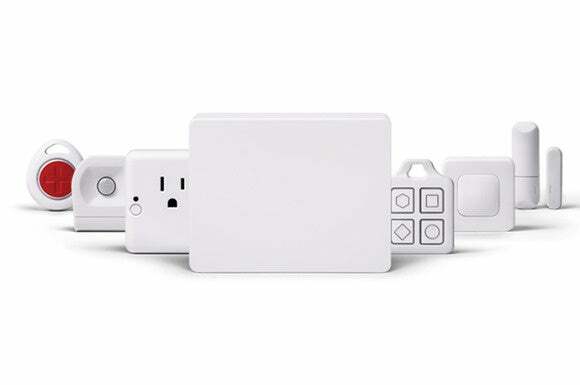 I’ve also become quite frustrated over compatibility issues with some popular third-party devices, including the GE plug in dimmer that I tested. Lowe’s claims feature parity with its first-generation hub, but long-time users I’ve exchanged messages with tell me the app-based Iris 2.0 is nowhere near as versatile as the web-based hub the original system used, especially when it comes to scheduling and rules. For all those reasons, I’m retroactively—and hopefully, temporarily—docking a full point from my bottom-line review, from 3.5 stars to 2.5 stars. I will reconsider this score once again if and when Lowe’s makes good on its promises for wider device compatibility, better administrative controls, and enhanced rules and scheduling. What follows is the text of my original review. Note: This review score was revised on April 6, 2016. Lowe’s has taken a good connected-home system and improved it by making it easier to use, expanding its ecosystem, and making its free service plan more complete. But it has yet to deliver on one important new feature.